We love decorating our homes, be it sprucing it up with a lick of paint or getting it ready for all the winter festivities. Deck the Halls is one of our favourite Christmas movies as Danny DeVito tries to make his house visible from space with lots of Christmas lights. 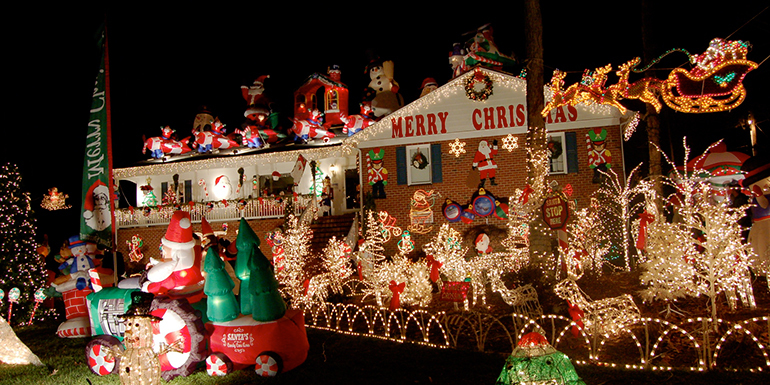 The whacky adventure immediately had us Googling to find the best and worst examples of Christmas decorations. There are so many, as you’ll see below, where people have done an incredible job…but there’s a fair amount of homes that could do with a Buddy the Elf makeover. 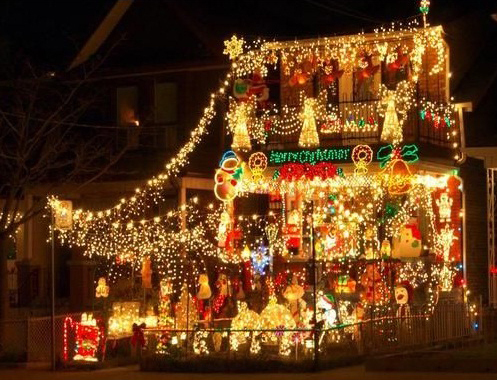 These homes have all gone for tasteful or full DeVito style home decorations, that will make them the envy of all their neighbours (maybe not for their energy bills though!). 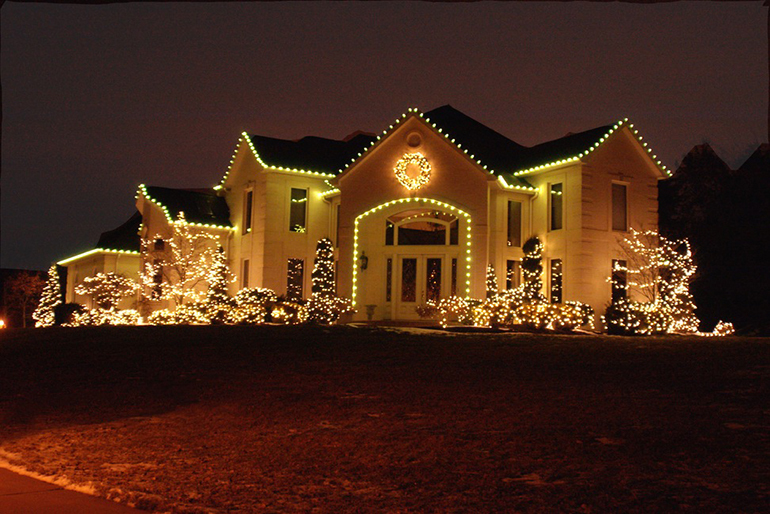 This house has a tasteful light display, bordering their home and covering the trees and hedges. The big, round wreath looks very inviting. If you don’t feel Christmassy when visiting this house, then you must be Ebeneezer himself! This is my favourite house, there’s so many colours, the giant snowman, the sheer amount of lights and effort that has gone into this display is incredible! Buddy Hall would be impressed, as would the International Space Station. 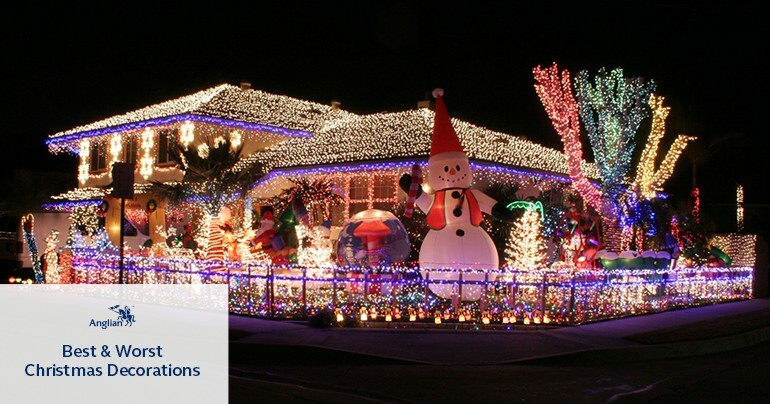 Using long lines of lights to decorate their home, the homeowners have created a warm, festive front garden. 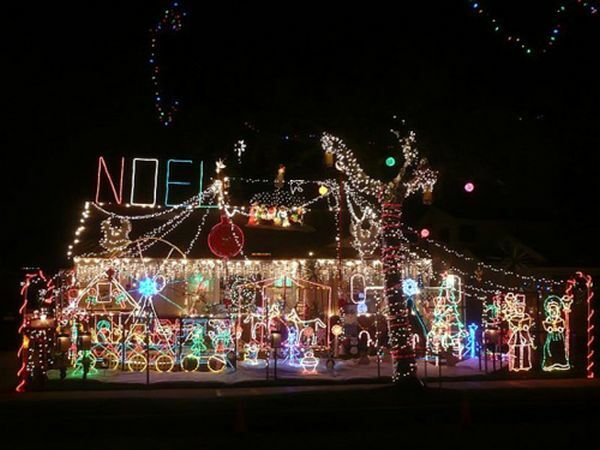 It’s reminiscent of the house in National Lampoon’s Christmas Vacation. 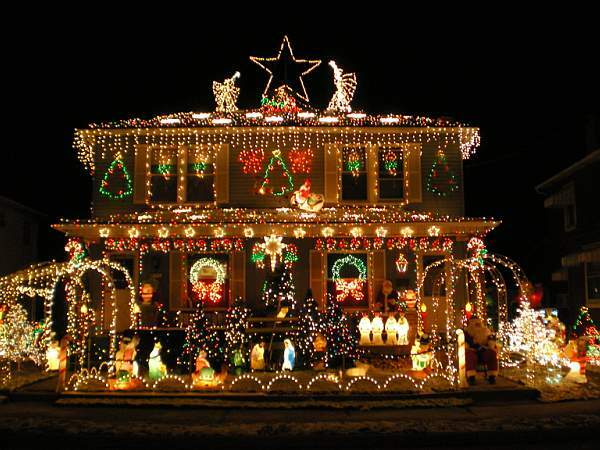 This house is reminiscent of a Christmas tree with the angels and a star at the peak. 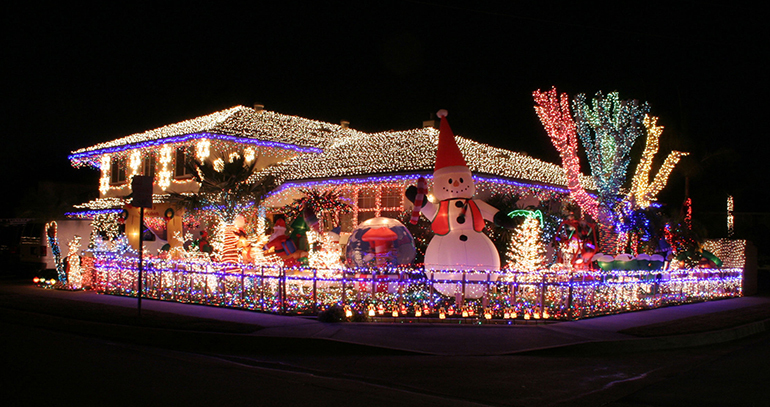 With wreaths, candy canes and even a little nativity light show in the front garden, this house looks great. 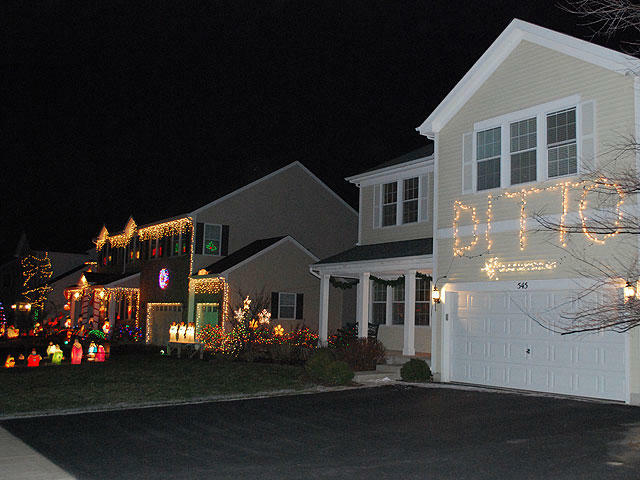 Some may deem this house tacky, but we think it’s embraced the Christmas spirit. Although a bit manic, they’ve incorporated many different scenes including a nativity and even a Christmas train. It’s bright and busy with plenty of ornaments. 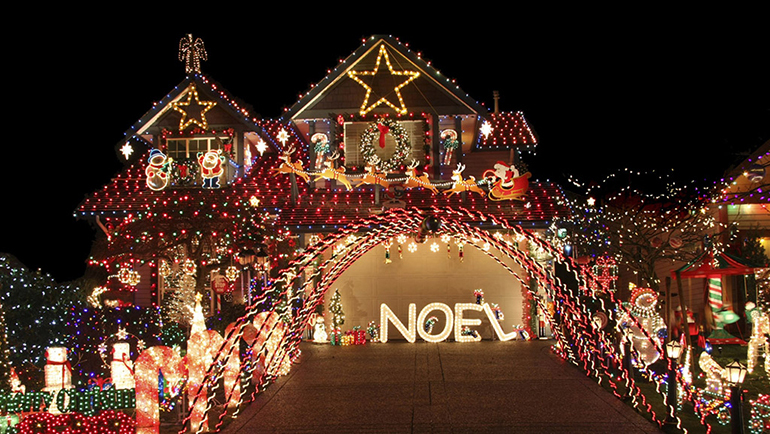 If they teamed up with the neighbours they could create an awesome street full of Christmas cheer. 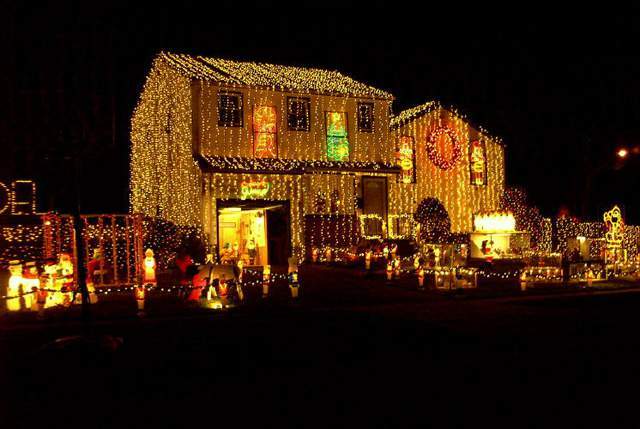 This house looks divine and although there’s a lot of lights, it still looks classy. The arch of lights on the driveway is such a beautiful touch! 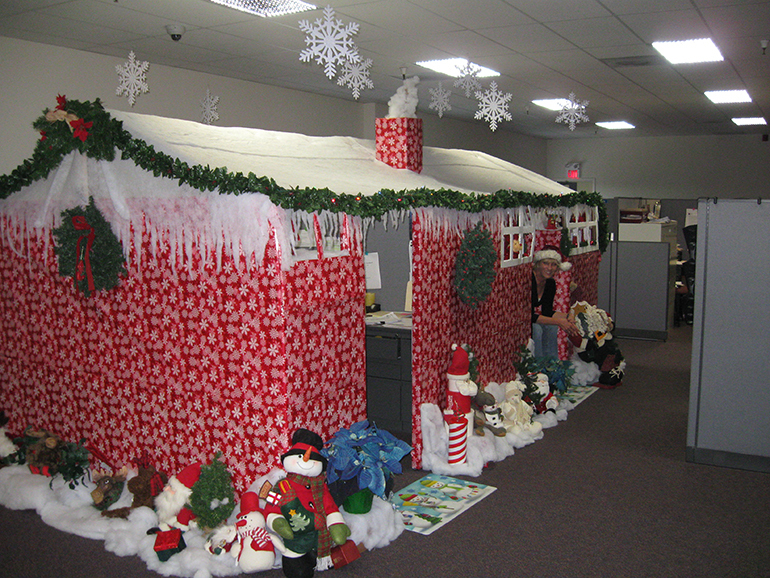 It’s not just our homes we are decorating – some of us are going all out on our office spaces too. We’ve seen some of the best, now it’s time for some of the worst, the ones that need Santa’s little helpers to pay a visit and give them some help. 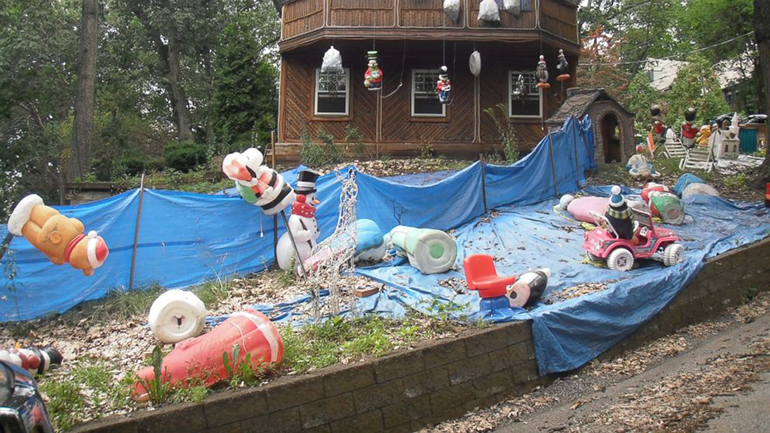 This house is in dire need of a Christmas miracle, the ornaments look like they’ve given up on life. This would be a super-creepy display for Halloween, but we’re not sure it works for Christmas. This Christmas decoration attempt is a bit lifeless, deflated and lackluster. Hopefully it’s just a dodgy fuse box that’s cause the Christmas spirit to be sucked out of this display. 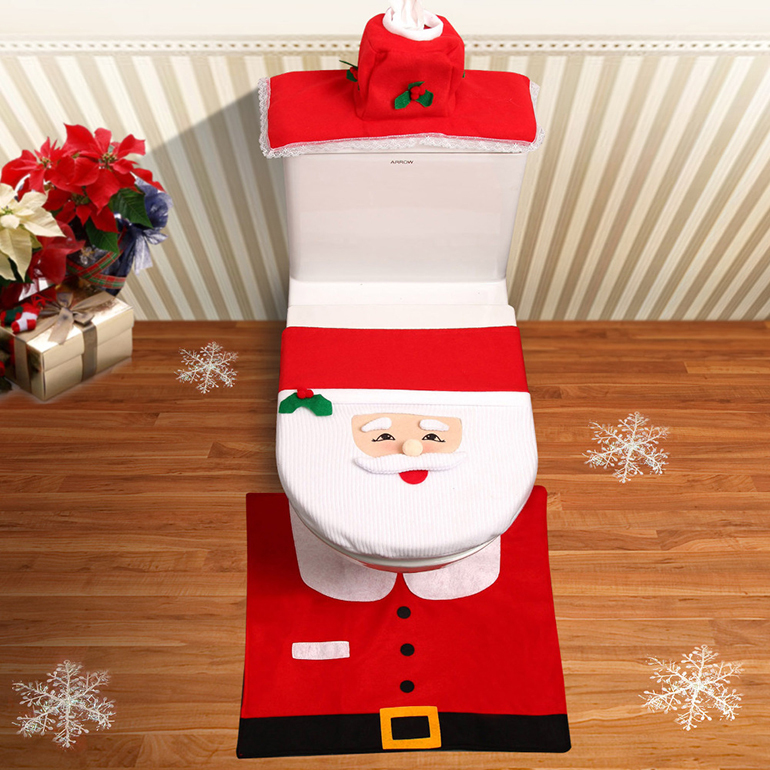 Father Christmas just shouldn’t be doing this…ever! These lights need to be put on display correctly for obvious reasons. 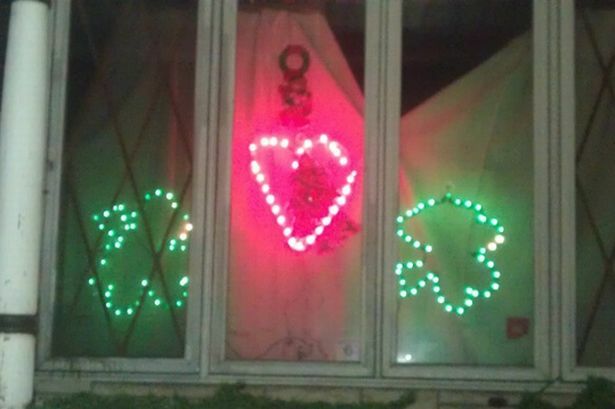 We’re not sure what the green lights are supposed to be, but the heart is a nice attempt. 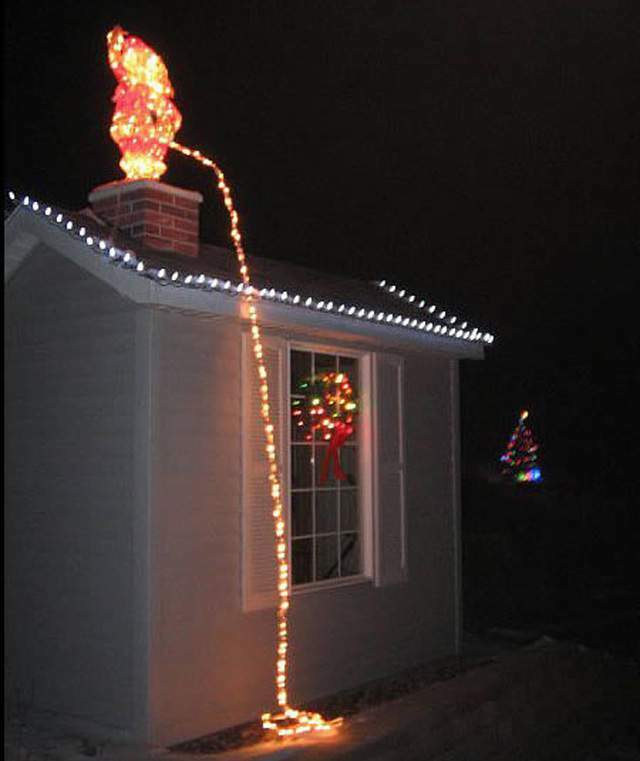 How this is a Christmas display though, we’re not sure. PEASE help these guys. 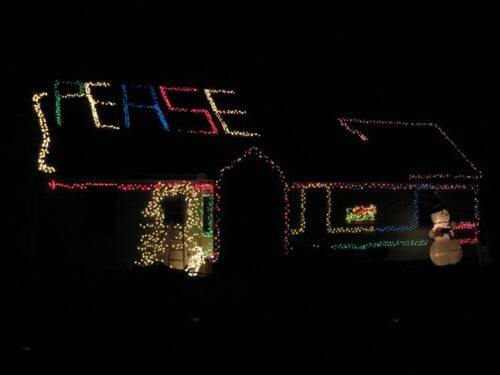 No one should be allowed to write a message in lights on their roof if they can’t spell. FACT. When you don’t want to put in the time and effort to create a winter wonderland, but your neighbours do, this is how you decorate. 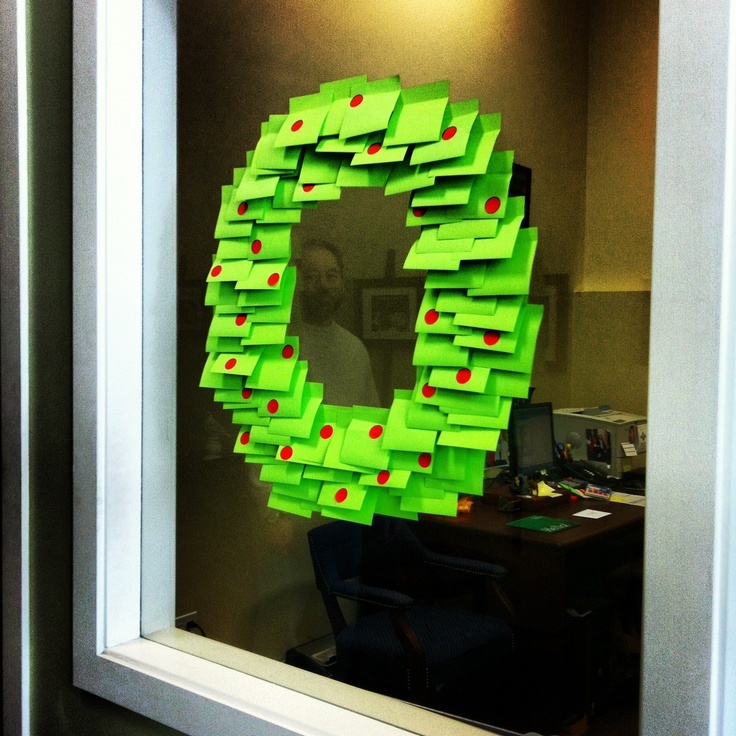 This is a cost effective way to decorate your office, just don’t expect many notes to be taken during the day.